Annika Billstam (SWE) is new Middle Distance female World Champion. Olaf Lundanes (NOR) seizes gold ahead of Hertner (SUI) and Kratov (UKR). Annika Billstam of Sweden has today won the Middle Distance World title in Italy, in the WOC 2014 penultimate day of competitions. Ida Bobach of Denmark and Tove Alexandersson of Sweden grabbed silver and bronze respectively. 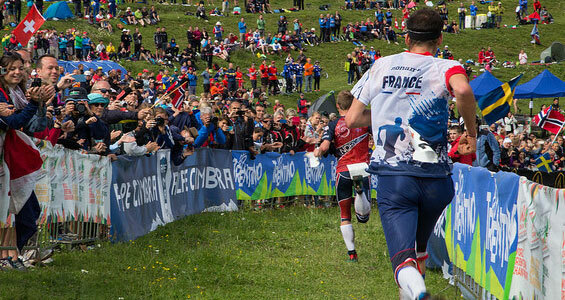 On the men’s side, Norway’s Olav Lundanes managed to keep at bay Fabian Hertner of Switzerland and Oleksandr Kratov of Ukraine, and conquered his first ever Middle Distance World title. Both male and female courses in Campomulo di Gallio (Veneto region) were both physically and technically challenging and Danish Ida Bobach seemed totally in control of the race from the beginning. Alexandersson was the only one able to challenge the Dane in the first part, while super favourite Minna Kauppi of Finland never entered the battle today. In the second half of the course, Annika Billstam pushed harder than anyone else and eventually crossed the finish line 22 seconds ahead of Bobach. In the men’s class, some sort of a big drama took place when the last competitors entered the arena. French superstar Thierry Gueorgiou was way ahead, but he eventually got disqualified as he skipped the sixth control. Olav Lundanes was then named the winner with Hertner in silver and Kratov in bronze. Last day of the WOC 2014 in Italy, tomorrow with the Relay events scheduled at 1pm, followed by the closing ceremony at 8pm in Lavarone.